Old is gold. What was considered in a decade or so ago is fast re-entering hip culture now, as evidenced by the comeback of vinyls, flip phones, and the like. Vinyl record sales in the US hit 11.92 million in 2015, while flip phones, the Blackberry Classic, and the Fujifilm Intax are hot off the market again. The emergence of retro tech in various industries has also inspired a new wave in interior design. 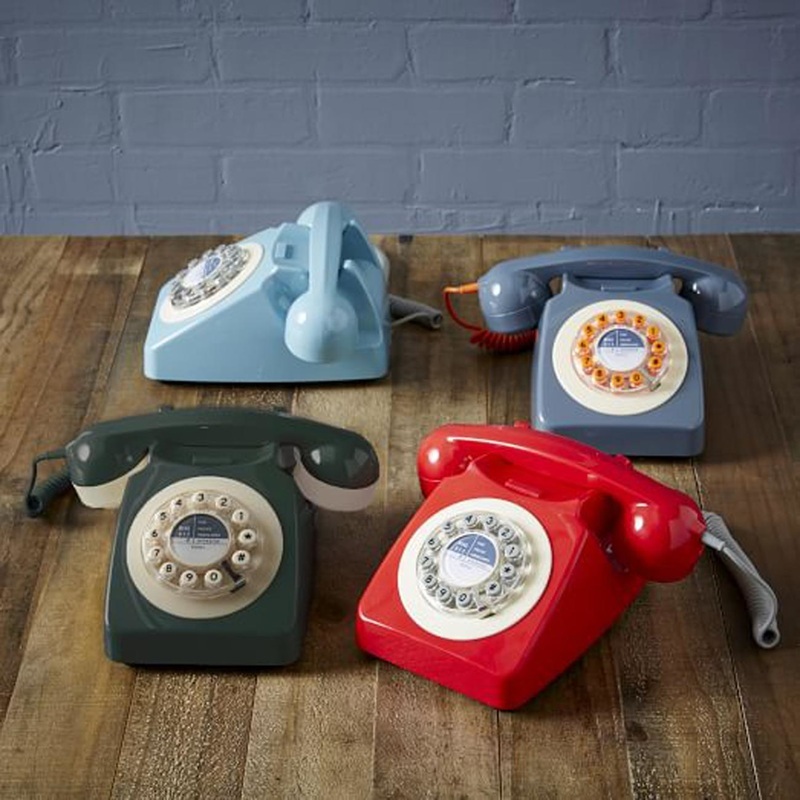 The retro tech design style has recently made its way to homes. Industry leaders do not know exactly when the trend started. But the style made headway some time in 2014 and skyrocketed in 2015. Old school technology such as gramophones, vintage table lamps, and rotary phones have provided homes with an inspiring and nostalgic vibe. Furniture and appliance developers are blending cutting edge technology with the look and feel of mid-20th century minimalism. This is best exemplified by Samsung’s flat screen Serif TV that was released in 2015. 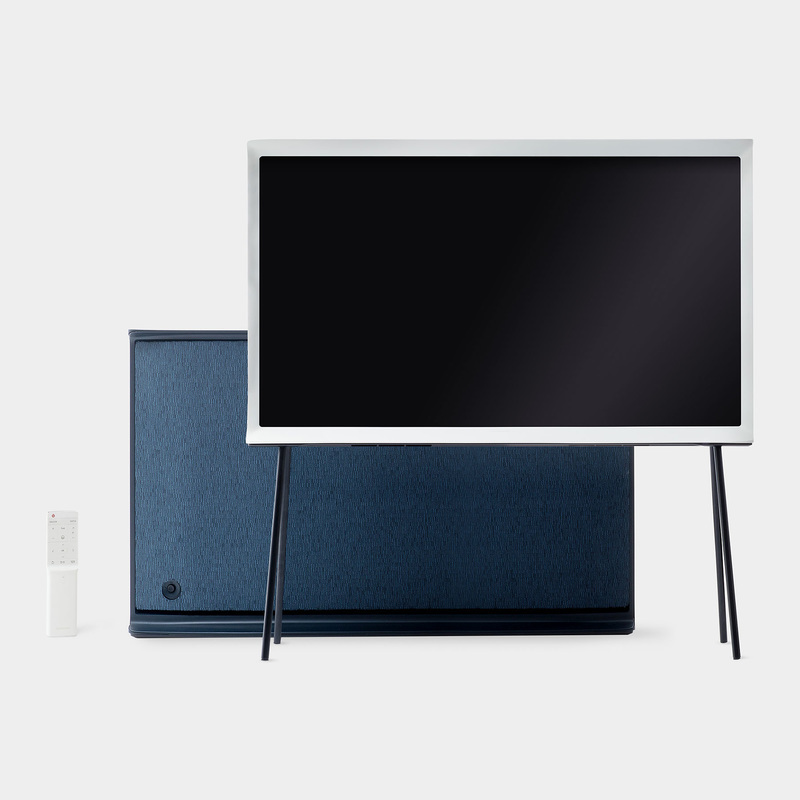 Inspired by the timber-clad television sets of the 1950s, Serif’s I-shaped profile, magnetic fabric rear panel, and soft-edged, stitched leather carry case is the perfect mix of retro and modern. Other furniture and appliances, such as Bluetooth-powered AM-FM-radio-designed music players, turntables with full USB integration, smart technology lamps, and many others, are becoming fixtures in retro tech homes. Hey there! Scott Jay Abraham is the name. Interior designing is the game. I always stay abreast of the most recent trends in the industry and share them to my readers. Visit this website to read more articles. Some people just have interesting office desks. These little spaces tell so much about an individual. I don’t know about you, but I like seeing photos, notes, and other knickknacks on a person’s desk. Well, given that it is organized of course. Offices could sometimes make people lose their identity or tone down their personality, but I don’t believe that has to be the case. So when I see an interesting desk, it fascinates me. There is a belief that what’s on a person’s desk reveals a lot about his or her working style. If the individual has a lot of puzzles and desk games, he is the type who enjoys problem-solving. Things that encourage critical thinking motivate this type. Do you have a Rubik’s cube on your desk? How about a magnetic poetry set? Another thing that is usually seen on office desks are photos. Look closely at the person who owns these. He or she must really value relationships. A boss that has a picture of his 5-year old daughter may be tough at work but could be a doting parent outside the office. So before dismissing people in the office based on your initial impression, perhaps the photos on their desk of their loved ones would make you think twice. 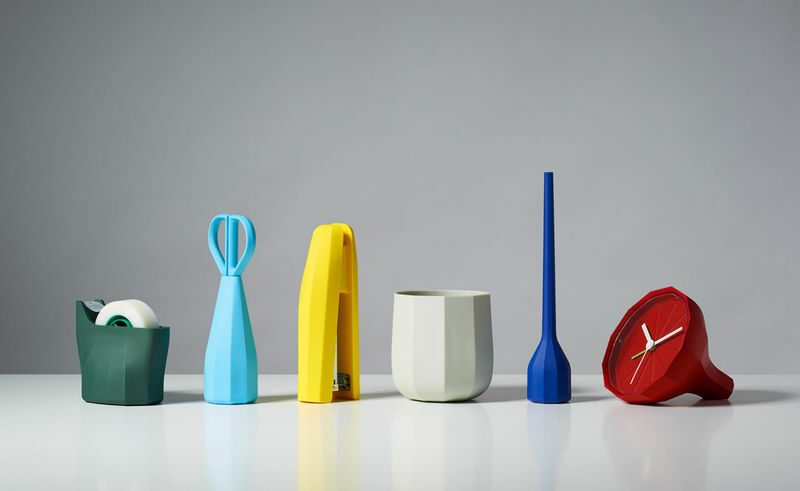 Penholders and mugs are among the common things found on office desks. Aside from telling me which employee is the go-to person for spare pens, items on the desk reveal a lot about a person’s sense of humor. 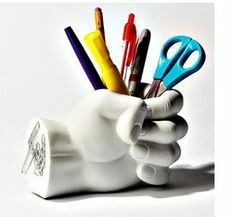 Having an animal-shaped or a geometric pen holder could be a welcoming sight. The same goes for mugs that have pop culture quotes or images. I think this tells a lot about a person’s interests and favorites as well. Do you have a Golden State Warriors mug? How about a dachshund bobblehead? I’d be your friend. Scott Jay Abraham here. Working as an independent industrial interior designer is not easy, but it is highly fulfilling nevertheless. When I’m not at work, I like hanging out with my dachshund, Shadow, and watching the Golden State Warriors in action. Share my interests? Visit my blog. Embodying functionality, longevity, and convenience, the concept of an industrial interior has long been an intriguing and unique aspect of the design world. From neutral wall colors to vintage lighting fixtures, this theme accentuates the beauty of raw interiors, utilitarian vibe, and manufacturing elements. 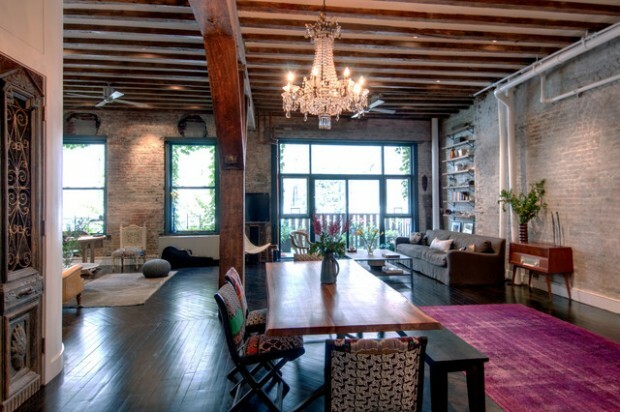 As this type of interior design becomes more popular, the costs associated with its creation have also risen. Below are money smart tips for homeowners who wish to achieve an industrial-style household within budget. Maintain black, gray, and rustic colors. Industrial interior design works best in this palette. Instead of purchasing new furniture in these colors, dip-painting old pieces is more practical. Learning more about faux finish techniques is also useful in adding more flair to the simple furnishing. Use metal and wood surfaces. The use of corrugated metal for the ceiling or wall may easily give off the feel without necessarily spending for the costs of real metal. Another alternative is polished stainless steel which brings a bunker-like ambiance. Make bookcases with industrial materials. The use of wood planks and pipe fittings to make shelving units allows for an affordable and creative industrial accent. In addition to books, old canisters, wooden barrels, and Mason jars may be placed. Find a focal point for the design. 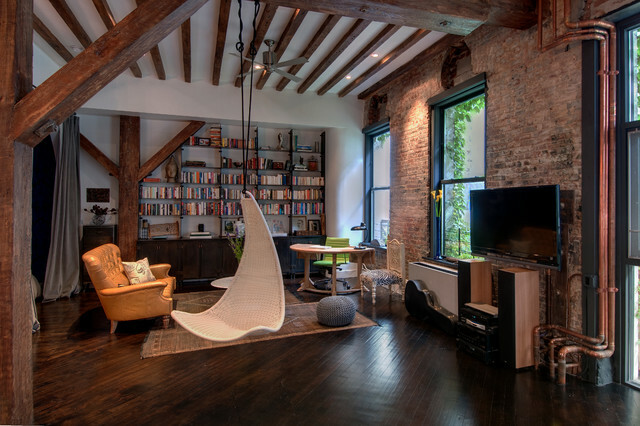 Simply locating an area such as a room divider, a wall, or a fireplace to showcase an industrial art can dramatically change the feel of the entire house. This method is inexpensive as it is convenient since it merely combines industrial details with the current design. I'm Scott Jay Abraham, Scotty for short. I have been working as an independent industrial interior designer for five years. For more tips on reinventing your home, follow me on here. Without a leash law, it’s no wonder pet owners love taking vacations in Carmel, California. 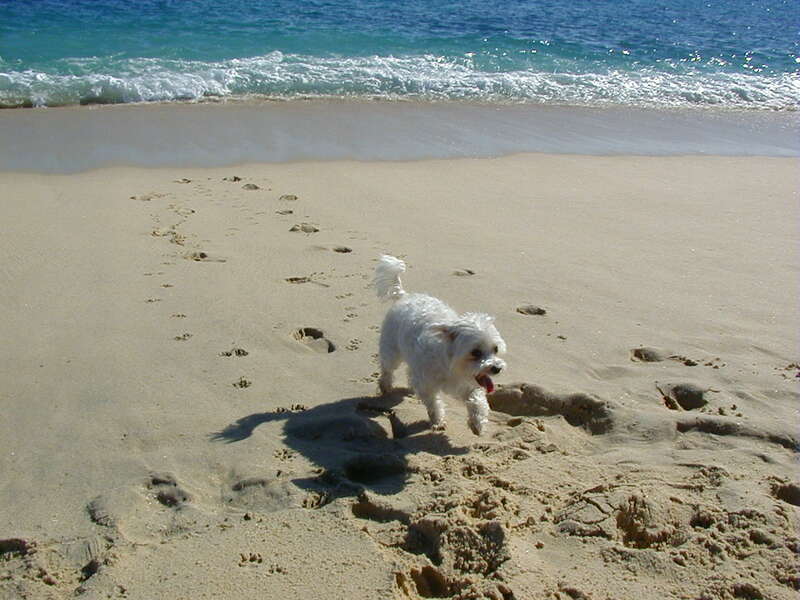 Dogs of all shapes and sizes can enjoy running on the sand, rocks, and waves. The 17-mile long drive through the picturesque California shoreline is surely something you and your dog will appreciate. The best part about visiting Lake Placid is that it’s beautiful year-round. There’s no peak season because you can come and enjoy the place at any time of the year. Located high in the Adinodracks, Lake Placid is one of the most dog-friendly spots in the U.S. You can enjoy a scenic hike around Mirror Lake or run along the doggie beach. Hike down the gorgeous Smokey Mountains with your furry friend. The Gatlinburg Sky Lift allows pets to ride with you to the top of the mountain so you have company. Your dog will definitely enjoy the long walk and the freedom that comes with the hike. There are many places in Colorado that’s pet-friendly such as Colorado Springs, Telluride, and of course, Salida. Fun activities include water rafting and a good hike. Hello, I’m Scott Jay Abraham and I love taking my dog on adventures. Read more about pet-friendly destinations when you visit my Facebook page. Train your pet. If your pet does not know when and where to do potty, maybe it’s not yet the right time to bring him/her out on a road trip. Train your pet to sit, stay still, and be quiet in public places. Have your pet checked. 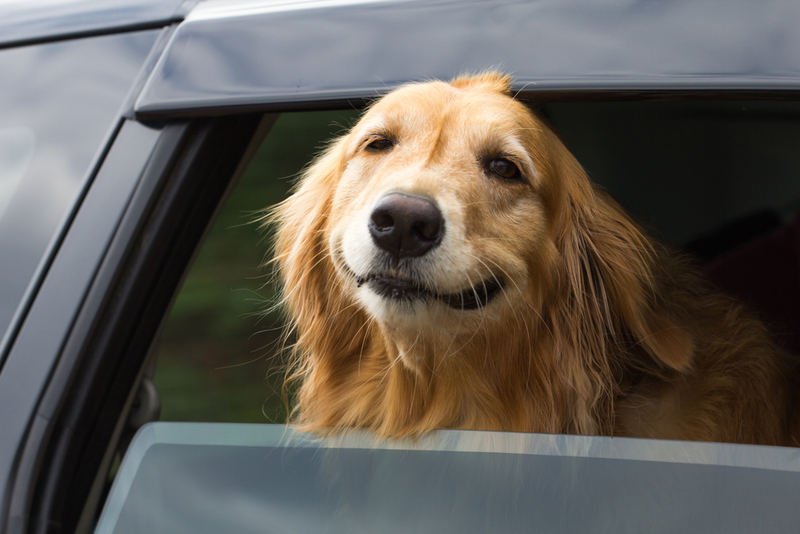 A few days before your big road trip, bring your pet to the nearest vet for a check-up. Your vet will ensure that your pet is up-to-date with vaccines, and will also check for fleas and ticks. You may also ask your vet about what to do in case your pet dog gets carsick. Prepare your vehicle. Buy a car seat for your dog, and make necessary arrangements so your family will all enjoy your road trip bonding activity. Pack for your pet. Your pet will have many needs. Pack your pet’s food, water, medicine, towel, and potty articles for a stress-free ride. Confirm if the place where you’re staying accommodates pets. Double check with your hotel if they offer services for pets. It is best to stay in a known pet-friendly place. 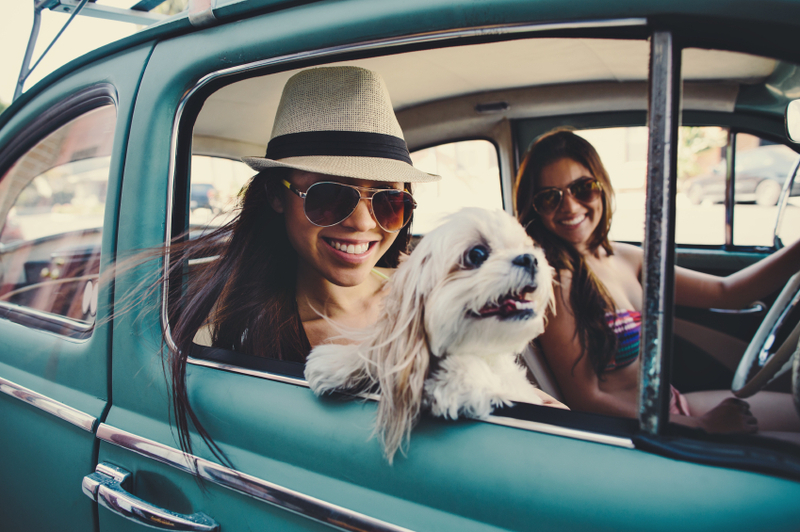 Take your pet dog on a road trip for a vacation for the books. For more about pet care and road trips, visit this Scott Jay Abraham blog. No matter how beautiful my vacation destination is, it won't be paradise without my beloved dachshund Shadow by my side. If you're planning to take your dog on vacation with you, do as I do and make your preparations for the trip way in advance. This is to ensure that your vacation is happy and safe for both you and your dog. At least two weeks before your departure date, make sure all of your dog's vaccinations are up to date. If you're planning to go hiking or camping in a place where Lyme Disease is common, make sure your dog gets vaccinated for it, too. Don't forget to apply tick and flea prevention on your dog, as well. If you're planning to travel by car, make sure to keep your dog in a sturdy pet carrier for safety. While there are special seatbelts and restraints specifically made for dogs, they haven't been proven to be as safe as carriers during a crash. If you're travelling by plane, make sure that your pet carrier is airplane-approved. You can line it with a blanket or newspapers to make it more comfortable. Whether you're traveling by car or by plane, you should get your dog used to the carrier well in advance of your trip. If your pet isn't microchipped, make sure it has a sturdy collar with identification tags with your name and contact information on it in case it gets lost. 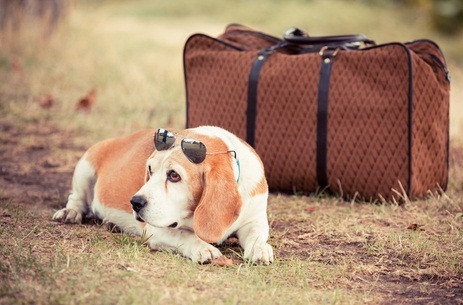 These are the basic things you must bring on an extended trip with your dog. If your dog is prone to motion sickness, ask your veterinarian if he or she can recommend an over-the-counter anti-nausea medication. Finally, make sure that you have your veterinarian's phone number in case of emergencies, and phone numbers to reputable veterinary clinics in your destination in case you need medical assistance for your dog during your stay. Hello there, I'm Scott Jay Abraham. 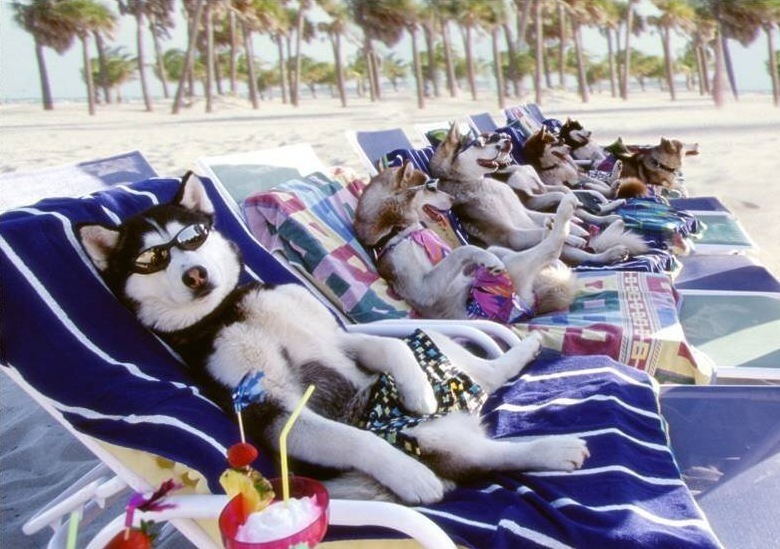 For more posts on dogs and travel, please subscribe to my blog.